On the evening of 26th November 1703, a cyclone from the north Atlantic hammered into southern Britain at over seventy miles an hour, claiming the lives of over 8,000 people. Eyewitnesses reported seeing cows left stranded in the branches of trees and windmills ablaze from the friction of their whirling sails. 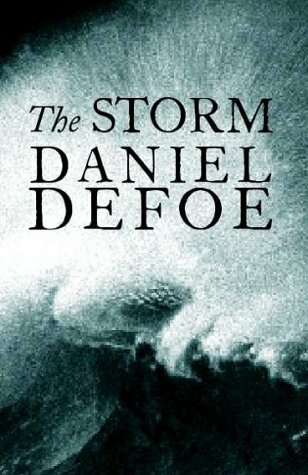 For Defoe, bankrupt and just released from prison for seditious writings, the storm struck during one of his bleakest moments. This book is widely considered to be one of the greatest books of all time, it will surely attract a whole new generation of readers. If you enjoy reading timeless pieces of classic literature, this gem by Daniel Defoe is highly recommended. This novel was partly inspired by the exploits of English pirate Henry Every. The narrative describes the life of an Englishman, stolen from a well-to-do family as a child and raised by Gypsies who eventually makes his way to sea.